You're probably thinking that I spend hundreds of dollars every single week on brand new clothes to blog about. Well, in reality, I try my hardest not to do that! It's so difficult to resist spending hours stalking cute looks online...and it's even more difficult when I live 10 minutes away from my closest mall. As someone who aspires to be a trendy fashion blogger, it's tough to keep up with the changes times. Each season brings exciting new fashion trends. However, it's important to be diligent when sorting through all of these trends because as they say, trends die but creating individual style can last forever! 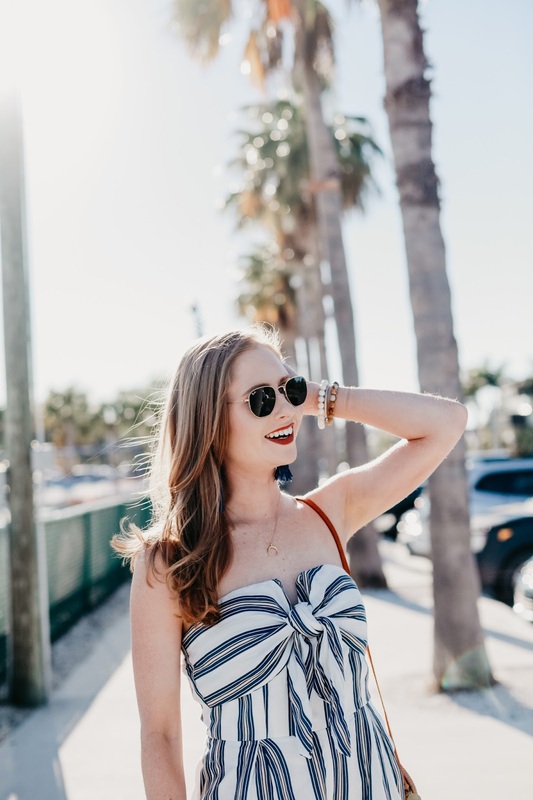 One minute large, bold tortoiseshell sunglasses are super classic until they are replaced with tiny oval-shaped sunnies that immediately become a favorite of popular Instagram girls around the world. It's a process of finding a balance between my personal style and what my followers want to see me wear. I found these Steve Madden boots at Marshall's for example! Here is how I (and you!) 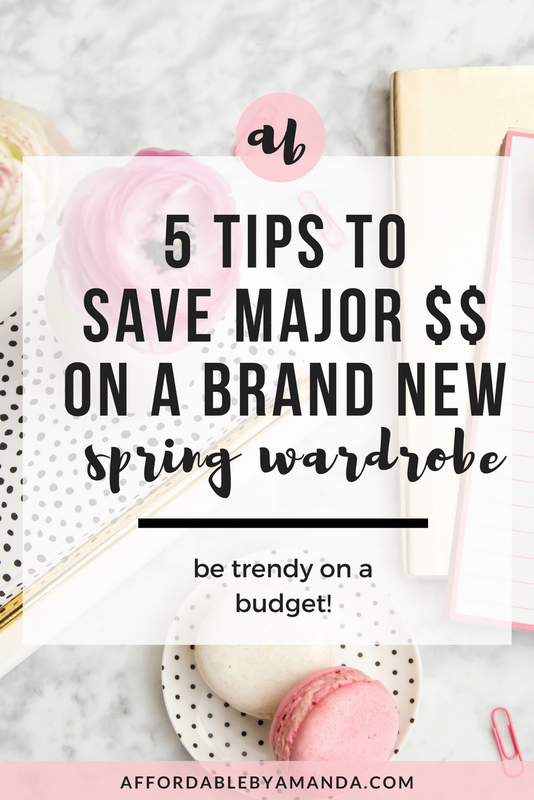 can afford to invest in a new spring wardrobe this year without going overboard. Enjoy reading these top five tips! One of the easiest tips I have for you when creating your ideal spring wardrobe is to look online. Pinterest is an amazing tool that I love browsing late at night for outfit inspo. I usually gather some ideas on how to revamp my current items hanging in my closet, too. 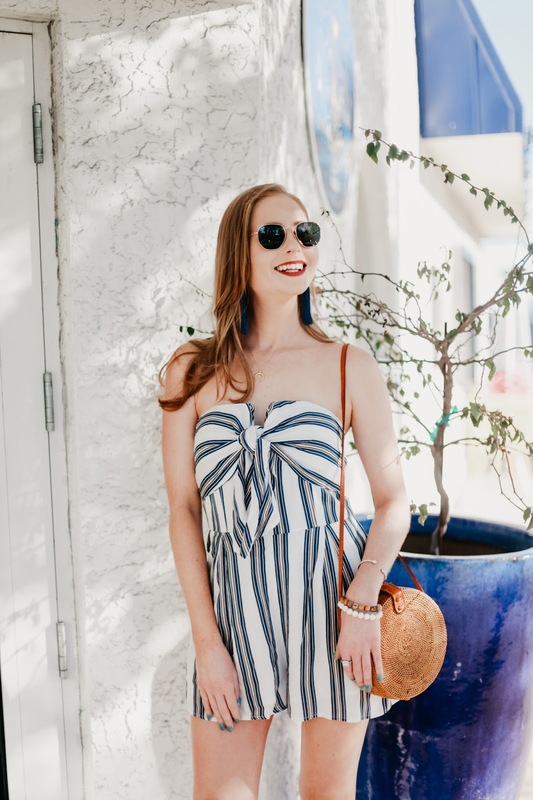 From denim cut-offs to adding a scarf around an old bag, I've truly learned a lot from the people I follow on Pinterest when it comes to changing up my style for free! Reworking the pieces you already own can be an easy way to save money. If you have the right basics, such as high-rise denim jeans and a cropped white tee, you can add in new trendy accessories, like a gorgeous round rattan bag, to complete your look! Need to make money to purchase those cute things you see on Revolve or Forever 21? I've got the best solution for you. Selling your clothes has honestly never been easier! You can drive to your nearest Plato's Closet and sell your old clothes for cash on the spot. Or, you can use Poshmark to sell your more high-end items, such as luxury handbags or pricey denim jeans, for even more of a profit. With Poshmark, you have to mail off the items other people buy from you, which is slightly a hassle if you don't have time to do that, but you can earn way more money this way. I've personally used both of these methods to make extra cash in a matter of days. Those are two of my secrets to buying new clothes, so I recommend you try them out for yourself someday soon! Put away some spending money in a separate account through your current bank. Having a designated account specifically for shopping will allow you to save more than you would if you dumped everything you make into one single account. Treat yourself to a few things here and there but make sure to keep the shopping account afloat at all times. You can also easily track every single one of your purchases by using this type of separate account for shopping, in stores and online. Something I've learned to do (the hard way) is to keep my receipts. After every single transaction I make, online or in store, I hold onto my receipts in a shoebox (Lol). This is a great way to be responsible for tax time (as a part-time blogger, I do have to consider my expenses!). Holding onto my receipts has been SUCH a life-changing task. I mentally track all of my daily purchases and remember to return things that I never end up wearing! This way I can get some money back (or store credit) in a simple manner instead of worrying about wasting tons of cash. It's SO hard for me to say this...but don't buy into every little trend you see!! At first, it seems like a great idea to buy that cute bamboo bag, but think about your lifestyle for a minute: Do you actually see yourself carrying around a bamboo tote where EVERYONE can see inside it!? That's the way I think before jumping onto the latest craze. I love seeing new trends pop up but I am less likely to buy into them if A) They will cost me more than $100 or B) They are outright NOT my style. Be authentic when you buy new clothes and accessories for spring. 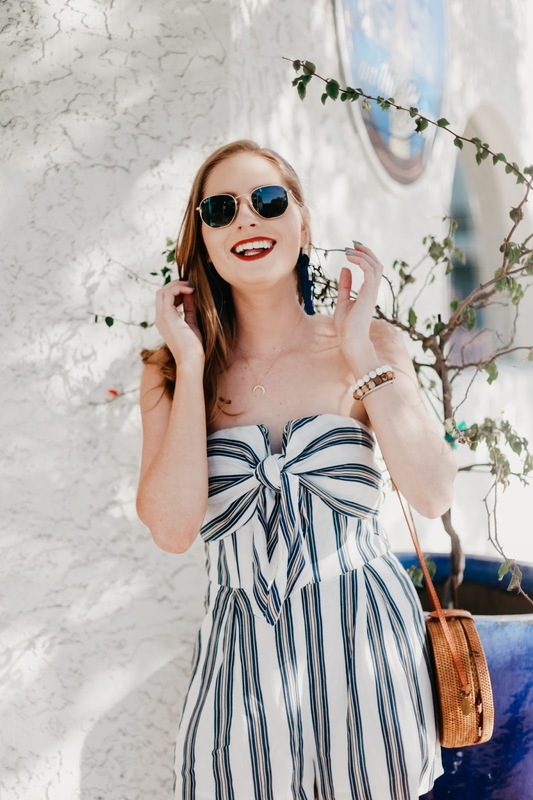 Adding trendy items to your closet may make you feel "cool" but at the end of the day, these things need to factor into your unique personal style. Don't lose what makes you DIFFERENT if you conform to what everyone else is buying.